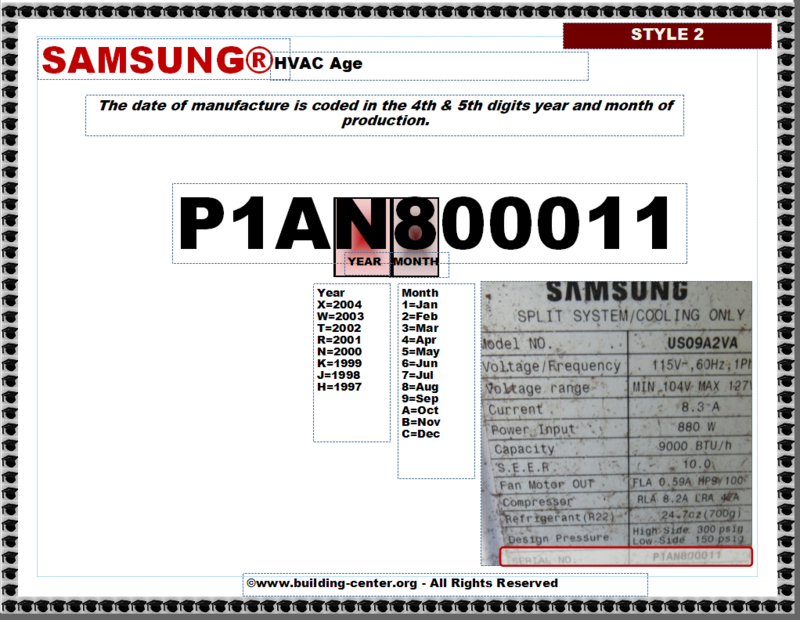 How to determine the date of production/manufacture or age of Panasonic® or Samsung® HVAC Systems. Year of manufacture is the 4th letter digit. 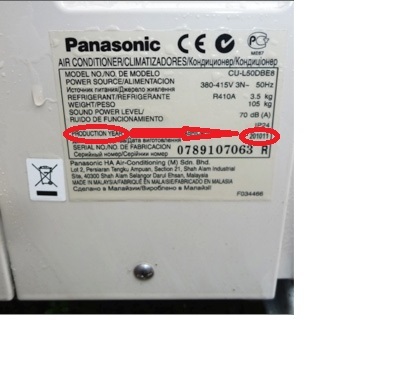 Month of manufacture is the 5th numerical or letter digit.